"Little girls with dreams become woman with vision." The foundation of Meraki began with two sisters, Krysteen and Jessica Vo. 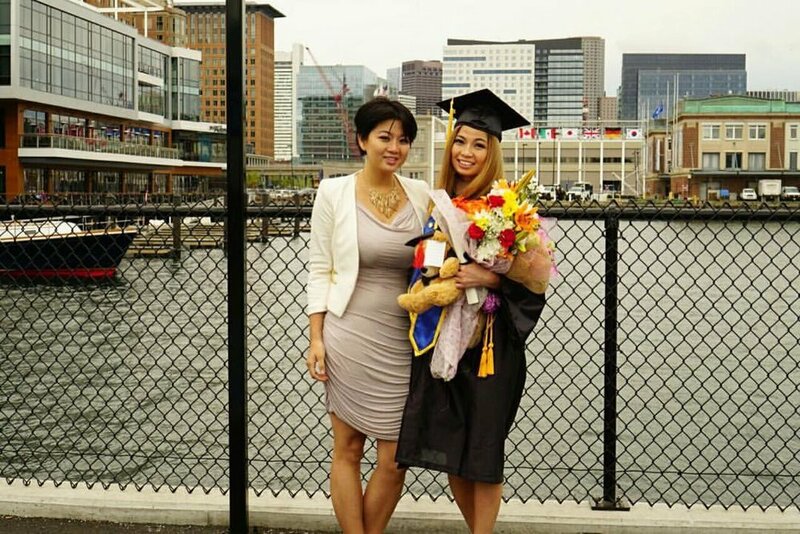 Krysteen began working in the Nails and Beauty Industry at an early age to help their mother, Nancy Lam, who previously had a business of her own in Haverhill, in 2001. After 12 years in the industry, Krysteen's experience led to a management role under her mother's business, Fancy Nails and Spa, located in Newburyport, MA. Eventually, Jessica joined the family business. Nancy Lam spent over 20 years in the nail industry as a single mother in order to support her five children. Nancy's story was featured in Newburyport's Daily News in November 2015, read more: here. Her work ethic and dedication to her children allowed them the opportunity to attend college. Both Krysteen and Jessica obtained a business degree at Salem State University and Suffolk University, respectively. After exposure to the family business, both sisters grew passionate in taking care of clients and building customer relationships, as well as providing beauty services that would not only help reduce stress but also make clients feel good about themselves after their services. As they've grown to appreciate other businesses alike, including their mother's, they had a vision in creating something of their own, thus came about Meraki Spa. Meraki Spa officially operated in September of 2016. After losing their mother to stomach cancer in January of 2017, both sisters have since transformed what was originally Fancy Nails and Spa towards a spa that most resembled their vision. After going through such a tragic loss, both Krysteen and Jessica did not want to mourn over her death, but rather celebrate her life for what she has provided. Nancy was essentially the family's rock, she represented the glue that held everyone together. A piece of her is instilled in each and everyone of her children, and that includes her hard work and dedication, which connects back towards the sisters goal of creating a business they know their mother will be proud of. Using the knowledge that they have gained from their education and the experiences they have encountered in the industry, they hope to create a special place that they can share with others.